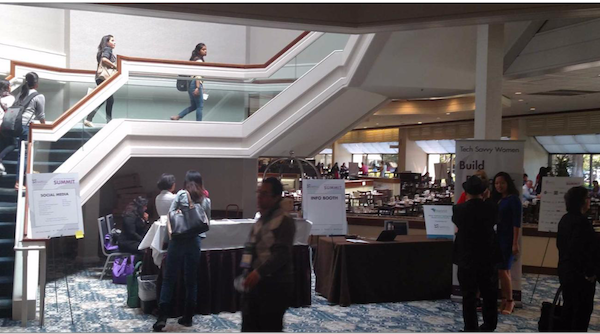 Between June 11th - June 13th, San Jose was home to Women in Technology International's 23rd Annual Summit which hosted over 1100 attendees and three days packed with speakers, workshops and over 900 participants in this year's Career Fair. The Summit also featured the prestigious Women in Technology Hall of Fame. Six highly innovative women were inducted, each having a deep influence and impact within their STEM field and the community around them. If you haven't attended a WITI Annual Summit, put it on your calendar for next year, when the event will be hosted in San Jose, June 10th - June 12th. The event is structured to create an open and welcoming space for women at all professional levels to meet and collaborate. It's a venue where strategy sits at the forefront for career women navigating the waters in STEM industries still highly dominated by men. Carolyn Leighton founded Women in Technology International in 1989. At this year's Hall of Fame event, Carolyn talked about her work founding WITI: "It's been a long 30 years, and a really wonderful journey, a challenging one. When I started WITI I was really committed to a certain kind of messaging because at the time in the 80s when I thought about WITI as a solution to the problems I was seeing with my corporate clients... the only contact the general public had with professional women was turning on the TV and seeing a bunch of screaming angry women. And I knew every time I watched that that was going to close more doors for us than open them... WITI is all about strategy... we have very strong goals and accomplishments that we feel will not only benefit the women in every organization but the men in that organization, the business of the organization, because we now know statistically that real innovation occurs when you have the most diverse group of eyes at the table." Leighton went on to describe the structure of the Summit, and the roles of WITI and the Women in Technology Foundation: "...WITI is the professional organization that's putting on the Summit...the Women in Technology Foundation puts on the Hall of Fame which was started 22 years ago, to identify and honor women who remained anonymous outside of their organizations, because [when] the press would go to speak to a company about their technology, it was always a man who was put in front of the camera. So many of us just thought, well, there must only be men in technology, right?... When I learned otherwise and I saw these stars I said we need to do something about making sure the world knows and benefits from women like the women who will be inducted into tonight's Hall of Fame." Over the three days, WITI presented speakers covering numerous topics from career development, diversity and inclusion, to the future of Artificial Intelligence (AI), FinTech and AgTech. On AI, we will see " ... in less than 10 years from now - a world massively and fundamentally transformed by the power of Artificial Intelligence in tandem with Virtual / Augmented Reality and the positive impact on education... and the film/video/games industries." On the future of FinTech conversation revolved around the future of Blockchain and Bitcoin. Agricultural Technology, (AgTech), is noted as " ... the latest industry to be unbundled by technology and the Internet of Things... AgTech is a new scientific discipline aimed to address the emerging threat of food shortage across the globe." Caption: Amanda Coolong, Chief Content Officer and Advisory Board Chair, WITI, recognizes the 2017 WITI event team during Tuesday's Keynote Lunch. In addition to the networking breakfasts and keynote lunches, a large series of coaching tracks presented great opportunities for attendees to focus on leadership skills and development whether from the perspective of an entrepreneur running a startup to professionals and executives at large well established corporations. offered attendees the opportunity to interact with Augmented Reality demos, 3D printing and an enlightening music experience with the ever popular, Dada Nabhaniilananda, aka The Monk Dude: Dada always says that 'music is the language of emotion'. Which is why he uses it to help get people in the mood for meditation. Then it is much easier to concentrate. Expect a little session of meditative chanting, mantrameditation, and a cool song or two about how our creative spirit might even take humanity to the stars. Caption: Will Marre, leading a session on the 3rd day of the Summit. The Hall of Fame induction ceremony delivered a great celebration for its six new inductees. Masters of Ceremony included Emmy Award Winning television news and entertainment Correspondent/Anchor Vicki Laviakis and ground breaking women in STEM advocate Amanda Coolong, also Chief Content Officer and advisory board chair for WITI. The full Hall of Fame event can be viewed via WITI here, jump to the 16:20 mark to watch the event kick off. Master of Ceremony Vicki Liviakis took a moment to acknowledge and celebrate the diversity and range of generations in the room: "I want to thank everybody here in the room for paving the way for future generations... the fact that we have so many young people here. I have a son that is one of the millennials and I have great faith in you guys for taking us into the future." Excerpts from the 2017 Hall of Fame event are captured below. To jump to the video coverage of the evening, click here. The first inductee honored was Dr. Laura Niklason, a "global expert in cellular therapies and regenerative medicine... [whose] research focuses primarily on regenerative strategies for cardiovascular and lung tissues." "Dr. Laura Niklason deals with life and death every single day... she is a physician who specializes in intensive care unit medicine where she helps patients with life threatening illnesses. 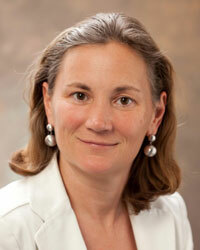 She is a global expert in cellular therapies and regenerative medicine." Dr. Niklason is the founder of Humacyte, a regenerative medicine company. "Her lab was one of the first to describe the engineering of whole lung tissue that could exchange gas in vivo, and her work was cited in 2010 as one of the top 50 most important inventions of the year by Time Magazine... In April 2017, Dr. Niklason was also recognized by Fortune among a prestigious list of 34 leaders for driving impactful change in healthcare." During her acceptance speech, Dr. Niklason shared her perspective on breakthroughs, "The feeling of breakthrough comes in many different flavors... I would say it hasn't been crystallized into a single moment, it's often occurred over weeks and months... when I've gradually let myself believe that something might actually be possible.... we are growing blood vessels from scratch...we can use those concepts to grow tissues that can meet any one of a number of medical needs..."
On inspiration Dr. Niklason shares a patient experience: ... One of the things I'm most proud of is taking care of patients in the Intensive Care unit. I will remember as long as I live taking care of an elderly woman who had terrible vascular disease...I stayed up all night with this woman and the next day her daughter came in and she said thank you for saving my mother's life... that sticks with you forever. That's another thing I try to infuse into Humacyte, is to have us never forget that the blood vessels that we're making are going into patients who are trusting us, to do a good job and to give them something that is really going to help them. 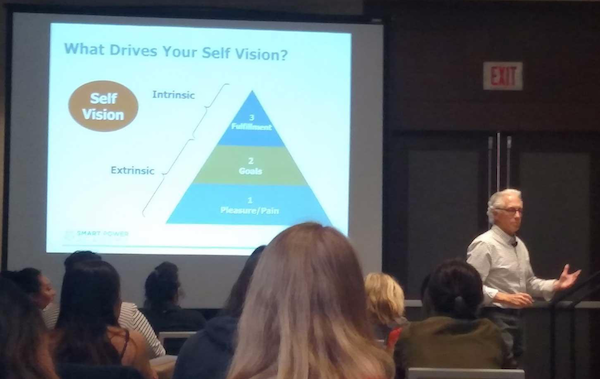 On leadership, Dr. Niklason noted, "... for me the easiest and the most natural way of motivating people and leading them is showing them where the road goes as far as I can see it. By looking down the road and by explaining what I think is coming or what might happen as a consequence of our work people understand the why, the so what, and the who cares beyond themselves. And that makes people very excited, it makes them want to accomplish more and makes them want to work more with other people so they can travel down the road even faster." Looking back at her career and mentors, Dr. Niklason spoke of Bob Langer (Professor Robert S. Langer, who is still at MIT): "I've had many mentors but... my post doc mentor Bob Langer at MIT... he now has a lab with 130 people, he has an entire floor in a building at MIT. When I worked for him, his organization was much smaller, he only had 50 people in his lab and he was still the biggest lab at MIT. But probably half of his lab was women, and ... trust me there were not a lot of women in MIT and engineering in those days, there still aren't, but probably half of his lab were women. It wasn't because he was a raging feminist... He was just flat, if you were a woman and you did good stuff, that was the same as if you were a man and did good stuff." 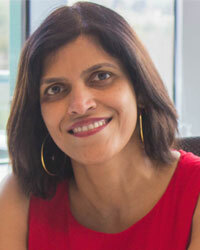 Beena Ammanath's work has shaped the usage of data, analytics, and AI at several companies including British Telecom, eTrade, GE and Thomson Reuters. Ammanath is the founder for Humans for AI, a non profit focused on building more diverse workforce in the future, leveraging Ai technologies. "I think AI is going to impact everybody, just like the internet and mobile did." Ammanath also sits on the Board of Directors of Board of Directors of Chicktech, a non profit that is focusing on involving more women in STEM careers. She is also on the advisory board of Girls Inspired for Tomorrow (G.I.F.T.). Ammanath was named by Forbes as the "Top Eight Female Analytics from the Fortune 500", and honored by the SF Business Times as "one of the most influential women in the Bay Area. An excerpt from Ammanath's acceptance speech: "[my parents] made me believe I could achieve anything I wanted. They never let the word Impossible get into my vocabulary or my life, that has helped me a lot... so thank you to my mom and dad ...As I grew in my career I started noticing the lack of women in tech... I have personally experienced how hard it is for women to grow in their careers... Fortunately I'm now in a position where I can help other career women...and it's my personal mission to help increase the diversity in tech, improve the number of women in technology... The lack of role models is one of the key issues for getting more women into tech careers. Womens' contributions to history gets often overlooked in textbooks. You don't find many women speakers in tech conferences and that's why it's very important to support organizations like WITI who do such crucial work. "It's important to build a career quilt. It's about working in different organizations and different domains, different organization sizes, whether it's starts up, large companies. That's what exposes you to different cultures that exist at different companies. It makes your more empathetic, it makes more flexible and helps your grow faster and better in your career ... to all the women who are considering a career in tech and to those already in tech, I say please join us or stay in tech, we need you." Selma Svendsen, Senior Director of Program Management, iRobot Selma Svendsen came to the USA in 1995 as a refugee from the Bosnian war, arriving with a suitcase "packed half full with clothes and half with engineering books... " Svendsen holds 22 US patents in the highly competitive career of home and military robotics." Below is an excerpt from Svendsen's acceptance speech: "Women in engineering, women in technology, in STEM driven fields, they have to overcome many obstacles... it starts with the way we were raised, it starts the attitudes we are shown and the degree of encouragement we have to pursue them...We are each other's ecosystem, which brings me to something I've been reflecting on lately... we take we too long a time to acknowledge our own capability portfolio and to admit to ourselves we have a point of view and a voice that is worth sharing...We coach each other, we support each other so, where we share, where we stand up, we assert ourselves, and we take a place at the table... As we do that, as we show up we speak, we lead, we drive results, we suddenly cross over into what traditionally can be understood as a male behavior. In doing that we run a risk of entering into a gender confusion. We could become difficult for people to process. We could become difficult for people to compute. And we run the distinct risk of losing ground on likeability; that could become a giant problem because without likeability we cannot lead. Women that have gone far and who occupy space of great influence, I study them carefully... what I have noticed is that they so deftly walk that tightrope and work within a narrow behavioral band that is set aside as gender appropriate behavior. It's very tricky. I think we should continue and I invite you to support women leaders around you, do it consistent, overtly, vocally and generously. In doing so we will broaden the behavioral band in which we can exist, and in which we can lead. It will be a little bit easier for each and every one of us." Elizabeth Xu arrived in San Francisco in 1990 with $45, received a Ph.D in 1995 and became an engineering manager at IBM in 1998. 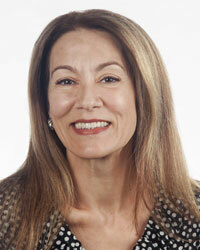 In 2014 she became Chief Technology Officer/Chief Architect and Senior Vice President of Technology at BMC Software. Below is an excerpt from Xu's acceptance speech: "Behind every single successful man there is a woman, however it's much harder for women to be successful. For me it took a global village. I dedicate this award to my supportive global village... I was born and raised in China... My father encouraged me to do whatever the boys do and told me I could do it in pretty dresses. My mother... taught me to make my own money, to be independent, and to be kind to others. They blessed me with a free spirit... I learned at a very early age that the sky is the only limit...I'm so fortunate to be inspired and taught by the best in the industry, all of you my mentors have elevated my vision about life into four Ls: Number one, Live to my fullest potential Number two, Love people around me to enable them to reach their fullest potential, Number three, Learn from people around us, Number four, leave a long lasting legacy, to make a real impact and real differences, not just by talking. I want to thank my colleagues and teams at BMC, Axiom, Reardon, Vitia and IBM, I'm so lucky to be part of many outstanding teams providing great products and great services, and I would also like thank the volunteers at Be the Change Foundation. The foundation becomes the global village for our mentees. We do daily mentors using our reach out groups for over 700 people... together we make impactful changes building an impactful legacy. Ladies, let's help out each other, collaborate with men and do what they do with a kind heart, grace and style." 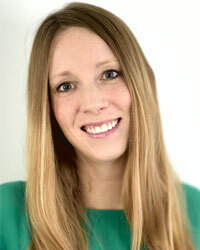 Lisa Seacat DeLuca is a technology strategist in the Cognitive Incubation Lab for IBM Watson Customer Engagement. At 34 years old, Seacat DeLuca is recognized as the most prolific female inventor in IBM history. She is also one of the youngest inventors to reach the 100th Invention Plateau Award at IBM. Of 600 patent applications, 250 have been granted. In 2016, Ms. Seacat DeLuca was designated one of the Most Influential Women in IoT by the Internet of Things Institute. In 2015, she was recognized as one of MIT's 35 Innovators Under 35. Harriet Green noted, "Seacat DeLuca is also a writer of books to help children and young people learn about coding, she's really driving the next generation of technologists. One of her books includes how to teach children how to count to ten in binary." Below is an excerpt from Lisa Seacat DeLuca's acceptance speech: "... I am really humbled to share the stage with my fellow inductees... the first email I ever got from Harriet [Green] was about a year ago I was going to be on stage with our CEO Ginni Rometty at the Grace Hopper conference. Harriet wished me luck and asked if I needed anything. I said Yes! 15 minutes on your calendar... 15 minutes turned into an hour. She told me she loves a challenge and where there's not a fire she goes and starts one. Most importantly, we talked about the significance of supporting other women, she told me that she always takes a job because of the person she's going to work with not the company or the role, and she believed in Ginni Rometty. She was determined to see her be successful, because if Ginny was successful, it was success for women in technology everywhere. ... [All my mentors] have really done something significant for me, they've given me their time. Despite having really impressive careers they showed me that they are real people. That gave me the confidence to know that I could do it too. I see a lot of young faces in here today. And know that your senior leaders want to see you be successful, but you shouldn't sit back and wait for the opportunities to come to you. Go start some fires, go ask for 15 minutes on their calendars because you never know when that will 15 turn into an hour." Krunali Patel started her career as a Verification Engineer, moving on to do some design and then systems engineering. 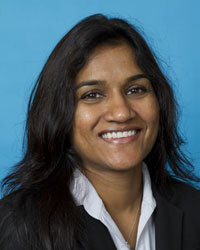 In the early stages of her career Patel appreciated it was important to "work as a team member with different disciplines." Patel is "leading a multibillion dollar analog design and support organization providing oversight and leadership for hundreds of employees across the globe. " She's described as "holding a seat of power and influence in a seat where very few women are leading today... She is making accelerating women a priority at TI, with the right training, the right visibility, and the exposure that will make an impact on how we grow our talent into top technical roles... She does all of this not for recognition... Krunali cares and believes it's her responsibility to remove barriers and help people get the tools necessary to be successful in their careers." Krunali noted in her Hall of Fame video, "My biggest challenge moving from an individual contributor to a leader was to accept that I do not have to be an expert in everything. Thankfully there were leaders in TI that were willing to give me candid feedback to help me grow." Patel describes how she didn't know how to defend her work, but that her dad taught her to speak up and not let anything reduce her confidence in her abilities. He went back to the school with her and explained to her teacher there is no difference between boys and girls in their family and she has an engineer's brain. I thought back about this experience and I realized how formative it was for me, but also something that I really wanted to share with the world on two different aspects: 1. Speak up because it is important... this is something I have learned, being an extreme introvert over the years, 2. Don't let anybody shake confidence in your capabilities, those are things that add to who you are, don't try to be someone else, be yourself, that's where most of the fun is...I realized there was a lot more that not only I had to offer to the world but also to learn from the world. This is not only because I'm a passionate believer in STEM but also diversity in thought, I firmly believe that diversity of thought fosters innovation. And for me engineering is about inspiring the world to unleash and to do more... and solve more problems in the future...So as I reflect on what I would talk about as a Call for Action, for all of you... there is no moment that there isn't any continuous learning or improvement. And with every experience you gain confidence, with all that confidence you build credibility. And the amount of influence that comes with this credibility is amazing. So don't underestimate that leverage because the moment you assume you don't have influence you just gave it away. With all that give back to the world and create an environment that will truly foster diversity of thought and innovation. The Wrap Up Women in Technology International is founded on the philosophy that No One Stands Alone. WITI's three days in San Jose was proof. Curious about who will be inducted in 2018? We are too! Mark you calendar June 10th - June 12th for the 23rd Women in Technology Hall of Fame Ceremony in San Jose.